These collieries had a number of locos, some bought new, some used and we have pictures of more than half of them. There were other locos used there from time to time from other collieries. If anyone can fill the gaps I would be most grateful. First up is ‘Nellie’ 0-6-0ST Manning Wardle 563/1876 bought from G & R Thomas, Hatherton Furnaces at an unknown date – scrapped circa 1894. Holly Bank No.1 0-6-0ST Hudswell Clarke 353/1893 Bought new – scrapped 1934. 0-6-0ST Hudswell Clarke 568/1900 Bought new – sold or scrapped, date unknown. 0-6-0ST R.W.Hawthorn 1665/1876. Bought from Hartley Main Colls. County Durham in 1934. It had originally been North Eastern Railway No.1358. Sold to Moira Colliery, Leicestershire circa 1942. No.1 0-6-0T Hudswell Clarke 352/1891 Bought from Hartley Main Colliery in 1935. Previously Great Western Railway No.785 Still at Holly Bank 1957 – since scrapped. Holly Bank No.3 0-6-0ST Hunslet 1451/1924 Bought new. 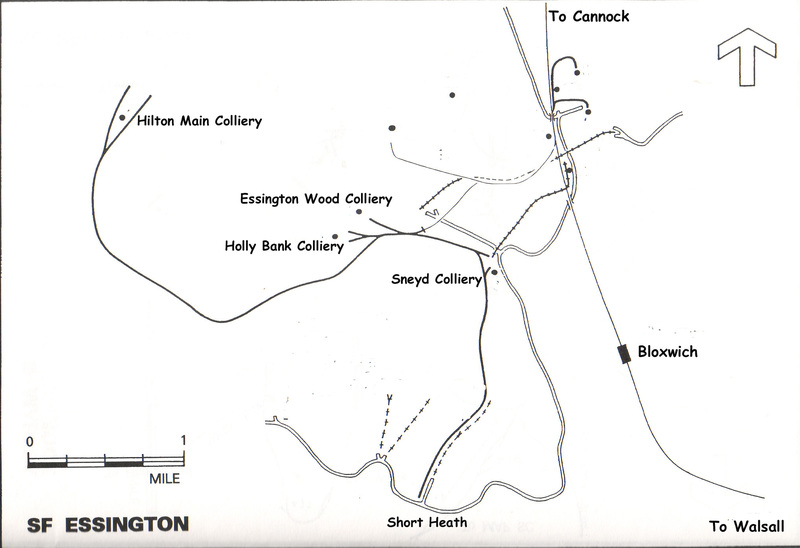 At Littleton Colliery by 1962 – since scrapped. Robert Nelson No.4 0-6-0ST Hunslet 1800/1936 Bought new. At Littleton Colliery by 1962. Preserved at the Great Central Railway. From there it went to the Gloucestershire & Warwickshire Railway, Toddington. In December 2005 it was at Riverstown Old Corn Mill Railway, Northern Ireland. Carol Ann No.5 0-6-0ST Hunslet 1821/1936. Bought new. Still at Holly Bank 1957 – since scrapped. Robert Nelson No.4 and Carol Ann No.5 (Hunslet 0-6-0ST 1800 and 1821 respectively, built 1936) were named after the Colliery Manager’s two children. I’ve had a word with the curator of Chasewater Railway Museum and he is aware that you have some items in your posession, in fact, I believe that the NCB donated some items to the Stafford Railway Circle and others to Chasewater Railway. 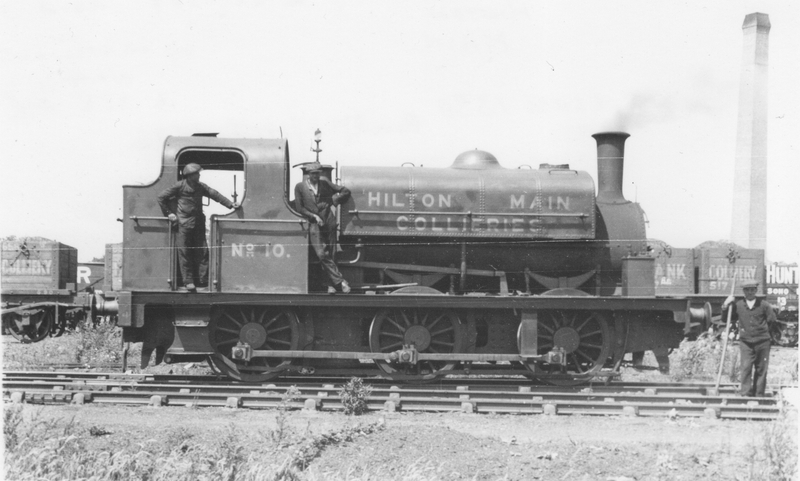 I am looking for photos of steam or diesel locomotives at Hilton Main, particularly on Oldhampton Lane crossing. Used to have cab rides on Holly Bank No3 at Granville Colliery in Shropshire. Happy Days! They used to be very happy days. Sadly I was too far from the pits to ride but a number of friends used to do it! I have this loco as Hartley Main 23 9/6/39 was Barry Railway 53 then GWR 785.